Liza Soberano finally enrolled in the the Southville International School affiliated with Foreign Universities (SISFU)! 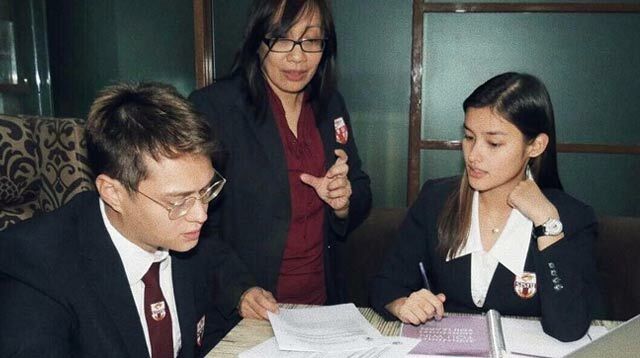 Back in October, Liza and rumored beau Enrique Gil were spotted in the college campus, triggering reports that Liza was to enroll in the same school where Quen was studying. But it was over the weekend that the Kapamilya star announced the start of her new adventure as a legit kolehiyala. Writing on IG, she said: "To be able to go to school is a great privilege which should not be taken for granted! So excited to finally start this term with @southvilleuni, thank you for supporting @enriquegil17 and I." Don’t they just look so preppy in their uniforms? So cute!